Scott Redding must be on a prototype Honda RC213V machine in 2015 to show off his full potential in the MotoGP world championship. That’s the view of his personal manager Michael Bartholemy, who came close to guiding the 21-year-old Briton to the 2013 Moto2 world title in the Belgian-based Marc VDS Racing squad. 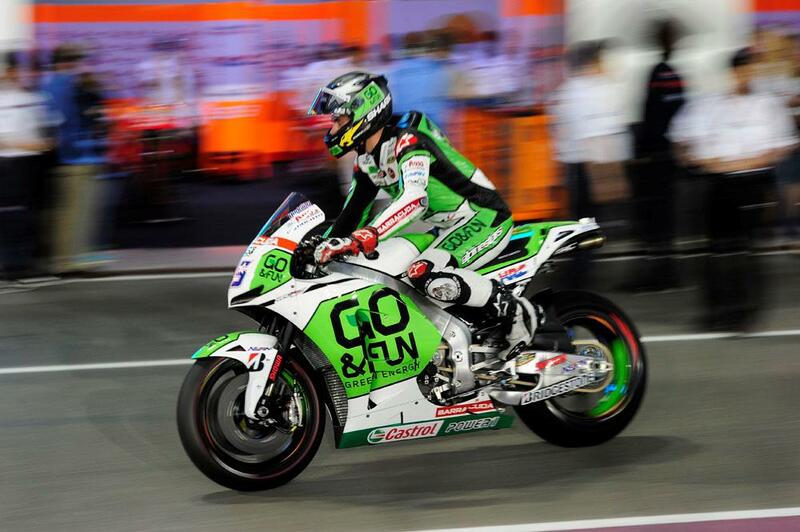 Redding is spending his debut MotoGP season on board the new production RCV1000R machine in Fausto Gresini’s squad. The bike doesn’t feature exotic technology like pneumatic valves and a seamless shift gearbox that Gresini teammate Alvaro Bautista is running. The RCV1000R is clearly lacking top speed performance, having been as much as 12mph slower than the factory prototypes in winter testing and at the first race in Qatar. But Redding made an encouraging MotoGP debut in Qatar last month when he rode to a morale-boosting seventh place finish. And crucially he was able to defeat 2006 world champion Nicky Hayden, who is also riding the new RCV1000R. Redding is desperate to impress HRC and Gresini to show he is worthy of a factory-backed prototype RC213V next year. And getting on the more competitive RC213V is essential, according to Bartholemy, who saw Redding’s Moto2 replacement Tito Rabat claim a brilliant victory in the opening round in Doha. Bartholemy told MCN: “It is a must for Scott to have a factory bike next year. This is our target and we have to have it. Many people compare Scott to Marc (Marquez) or Pol (Espargaro) but these people had a chance to come to MotoGP on a factory bike but Scott doesn't have it, so we have to accept that. The target for us though is at the test after Valencia in November is for Scott to be riding a factory bike."